If you’re a gamer and have been far too busy enjoying the plethora of hotly anticipated titles spilling out recently, such as Destiny, Shadow of Mordor, and the survival horror duo The Evil Within and Alien Isolation, both released within a week of one another, then you’d be forgiven for being blissfully unaware of the whirlwind of gaming controversy that is Gamergate. The result of an explosive combination of feminist ideology and the volatile internet-based gaming community, Gamergate is arguably a crucial flashpoint of the videogame medium’s journey from relative obscurity into mainstream culture, and anyone with even a tertiary appreciation of gaming should have a base understanding of the matter. Once upon a time…well, actually, last August, a programmer by the name Eron Gjoni broke up with his girlfriend, indie game developer Zoe Quinn, most notable as the woman behind Depression Quest, a text-based game that takes players through the experience of a clinically depressed person. A spiteful Gjoni wrote several blog posts describing how Quinn had slept with Nathan Grayson, a freelance writer for prominent gaming sites Kotaku and Rock Paper Shotgun. This led to allegations that Quinn had illegitimately curried favor with a respected game journalist for a positive review of Depression Quest, but this would later prove to be untrue, as Grayson never reviewed the game, or any of Quinn’s games for that matter. Nevertheless, the damage had been done, and a flurry of personal attacks and even death threats descended on Quinn, as well as criticism from gamers fed up with what was generally perceived as a culture of corruption between game developers and game journalists. The term “Gamergate” emerged when Firefly actor Adam Baldwin used it in a Twitter post to describe the gathering storm that pitted disgruntled gamers against feminists and journalists critical of them, a gathering storm that was also being hotly discussed in places like 4chan and Reddit. Following the attacks on Quinn, which drove her into hiding out of fear for her safety, more figures in both the gaming and mainstream media came forth to condemn those that fell under the Gamergate banner, as well as to more broadly criticize what they perceived as a male-dominated videogame culture for its exploitation of women and minorities. Chief among them was Gamasutra writer Leigh Alexander, who wrote: “[The term] “Gamer” isn’t just a dated demographic label that most people increasingly prefer not to use. Gamers are over. That’s why they’re so mad.” In retaliation, the Gamergate crowd bombarded one of Gamasutra’s advertisers, Intel, with complaints about the article, which led to the computer giant pulling advertising dollars from the site. Another gaming figure subjected to the ire of the Gamergate movement is Brianna Wu, who recently put out a mobile game titled Revolution 60. Wu, who has been critical of the treatment of women in the gaming community and has been highly critical of the pro-Gamergate people recently fled her home and went into hiding after someone tweeted a series of horrific threats at her, along with her home address. I have at my disposal a semi-automatic rifle, multiple pistols, and a collection of pipe bombs. She is going to die screaming like the craven little whore that she is if you let her come to USU….I will write my manifesto in her spilled blood, and you will all bear witness to what feminist lies and poison have done to the men of America. Participants of the movement adopting the hashtag #GamerGate argue that, as with any large movement, the vile actions directed at the likes of Quinn and Sarkeesian are from a tiny minority of a community that instead sees gaming as being under threat from social progressives and self-aggrandizing gaming journalists who sneer and mock the very people who perpetuate their existence. For many of these gamers, gaming is an escape, a means to entertain oneself while being immersed in fantastical worlds with equally fantastical beings, and not a means to inject elitist attitudes and real-world social progressivism. Amidst the death threats and ideological warfare, the Gamergate movement has in fact brought on changes, with gaming sites such as Destructoid, Polygon and Kotaku enacting new rules that either forbid their writers from donating money to indie developers through crowdfunding sites such as Patreon and Kickstarter, or require them to disclose such contributions. There’s a mind-boggling amount of debate going on about Gamergate, far too much to fit in a single article. However, it is undoubtedly the case that Gamergate is one of perhaps several ideological conflicts that will continue to permeate discourse in the community, as videogames further ingrain themselves as a cornerstone of mainstream culture. 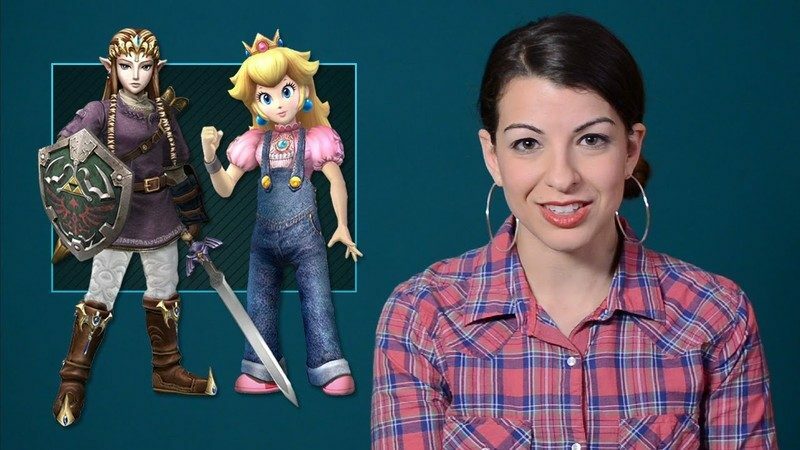 For more commentary and insight into Gamergate, check out Nolan Ezell’s article on the matter.